The SAMH National Employment Team operates high quality services to support customers to access and sustain employment. An exciting opportunity has arisen to join the Team and make a positive impact on the lives of the customers we support. SAMH’s Tools for Living™ is built on the principles of Cognitive Behavioral Therapy (CBT). It also harnesses a range of social care, psychological leadership and employment theories such as person centered planning tools, change theory, personal motivation and reverse career planning. It consists of 21 workshops arranged into 3 distinct programmes. This is the most challenging and rewarding job you may ever apply for. The positive impact you can make on peoples’ lives will be down to the quality of support you provide as well as knowing your work will positively improve the lives’ of your customers and the wider community. Your attitude and personality matter as much as your skills and experiences. We are looking for initiative, creativity, energy and determination because, as a Tutor, you’ll be supporting a diverse set of unemployed customers to develop personal skills. They will each require different support so you’ll be doing a job that’s varied, challenging and genuinely rewarding. Whatever your experience, we need people with an open-minded, determined attitude who can motivate and inspire both themselves and their customers to succeed. You will need to be comfortable working on your own initiative without the day to day presence of line management and one of your strengths will be building and maintaining positive relationships. As this post will involve travel across various locations a full driving license and access to your own transport is essential. Closing date for all applications is Monday 18th February 2019 at 12 noon. PVG Scheme Membership, a Right to Work in the UK check and proof of qualifications declared on the application form are required. Applications are welcome from people who have experienced mental health difficulties. Please note that your application should be completed electronically and emailed back to jobs@samh.org.uk, no other form of application will be accepted. Have you ever thought about being a CAREGiver? We use the unique term “CAREGiver” because our CAREGivers are special and we’re no ordinary care company! Here at Home Instead Edinburgh we strive to be an employer of choice. That’s why we focus on personality and values and not just work experience when speaking to potential CAREGivers and provide on-going support and full training to all new employees! No matter your background – we may have the perfect opportunity for you. We are currently recruiting for CAREGivers across most Edinburgh postcodes – please read on to find out more about what we do! · CAREGivers provide support and companionship to regular clients, whom they visit for two hours or more per each visit. We pride ourselves on offering a minimum of two hours per visit – that means there is less time spent travelling and more time building relationships! · Our positions are on-going – with no closing date. It’s all about building a career as well as building rapport with the people you support! · CAREGivers’ working hours are flexible to suit their availability - we currently offer up to 20 hours a week. Many of our caregivers work with us around other commitments - whether that be family, caring for a relative of their own, another job, or their own business. Your hours can include weekdays, evenings and / or weekends - depending on what suits! · While quite a few of our caregivers drive, not all do. As an award-winning innovative care provider, we support the elderly and people living with physical disabilities and long-term conditions across Scotland. We pride ourselves on our knowledge and passion for delivering complex care, making sure that our customers receive high quality care services that can range from visiting a few hours a week to several daily visits. We deliver our vision of helping our customers live their life to the full through the hard work and dedication of our Support Workers who provide our customers with a wide variety of assistance such as personal hygiene, dressing, medication prompts and light household chores in line with their personal support plans. 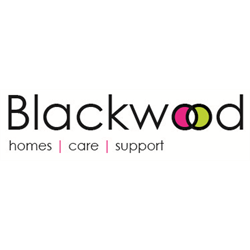 Blackwood are currently looking for Support Workers to join our Care Services teams to support our customers living in their own homes in the community and/or in our Care Homes. We operate care services in Aberdeen, Dundee, Perth & Kinross, Edinburgh, Stirling, Lanarkshire, Glasgow, Ayrshire and Inverclyde. Don’t worry about having any previous care experience, we provide comprehensive training and development opportunities to help you become a great carer! Flexibility to work on a rota basis, including early mornings, evenings and weekends. 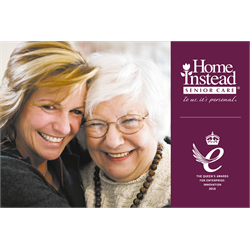 Fully paid induction and shadowing with experienced carers. EE Perks – discount packages for family and friends. 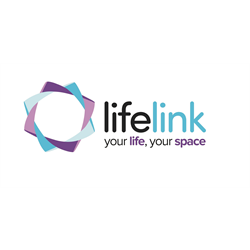 Lifelink is a social enterprise who has been delivering exceptional levels of service to a wide-ranging client portfolio for the last 25 years. Long standing strategic and local relationships exist with our partners including, but not limited to, NHS, Local Authority and other public and third sector partners specialising in mental health and wellbeing, employability, addictions and financial advice. We are delighted to be a Level 2 delivery partner in the Scottish Government pilot of a Distress Brief Intervention Service that aims to offer an “ask once get help fast” inter-agency response, support and problem solving service to people in distress. 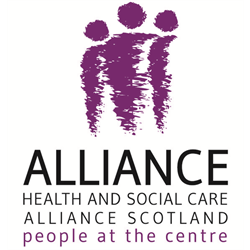 We are now looking to looking to attract an experienced Team Leader to deliver compassionate problem solving and support services to a wide range of adult clients across North Lanarkshire. The postholder will primarily be responsible for planning and co-ordinating service delivery; monitoring and reviewing service performance; managing and supporting staff; promoting the DBI Level 2 service across North Lanarkshire; liaising with partner agencies and participating in partnership meetings and development events. Team leaders will also hold a small caseload of clients to whom they will provide the DBI level 2 service. A valid driving licence and access to own transport is essential. Your desire to make a difference to people’s lives means you will thrive in a fast paced and performance driven environment. Lifelink are committed to equality and diversity in the workplace and you will be joining an established and well-respected organisation whose people are their greatest asset. If you think you possess the values, determination and flexibility required we would be delighted to hear from you. The posts offer an attractive salary and a host of benefits including up to 31 days annual leave (pro rata), up to 6 public holidays (pro rata), people friendly arrangements and contributory pension scheme.